2018 Drought Response Report – Missouri’s drought of 2018 was notable in its localized intensities and its overall impacts to both agriculture and public water supplies. Abnormally dry conditions extended through fall and winter 2017, with dry conditions re-emerging in late spring 2018. Ninety-eight percent of the state experienced dry to exceptional drought conditions at the peak of the 2018 Drought. 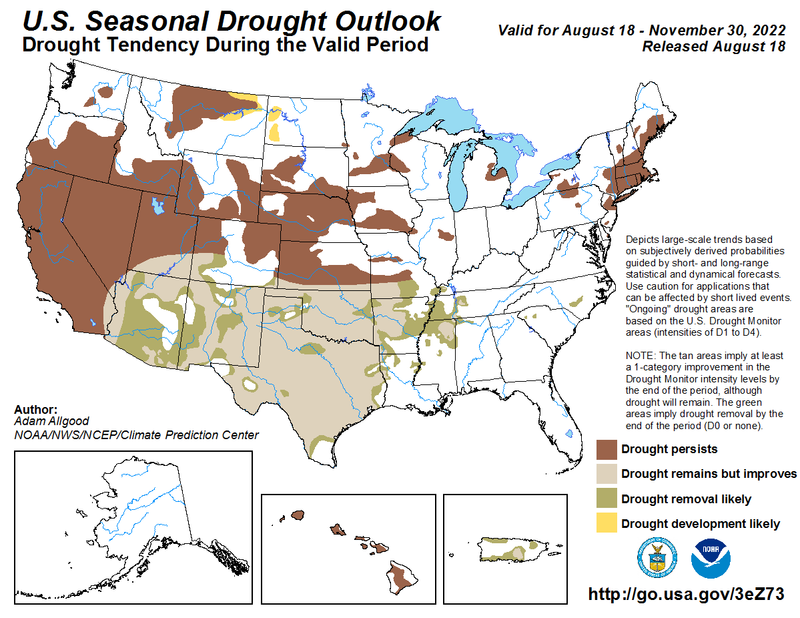 Missouri Extension Drought Impact Reporter – Report drought-related conditions and impacts in Missouri. Reports and photos are essential tools used to assess drought conditions.